Sun., 22 Sep. - Tue., 1 Oct. Mon., 23 Sep. - Mon., 30 Sep. Thu., 12 Sep. - Thu., 7 Nov. Mon., 30 Sep. - Mon., 7 Oct. Tue., 17 Sep. - Fri., 4 Oct.
Wed., 11 Sep. - Mon., 16 Sep. Tue., 11 Feb. - Thu., 20 Feb. Mon., 3 Jun. - Mon., 17 Jun. Thu., 6 Jun. - Thu., 20 Jun. Mon., 7 Oct. - Mon., 21 Oct. 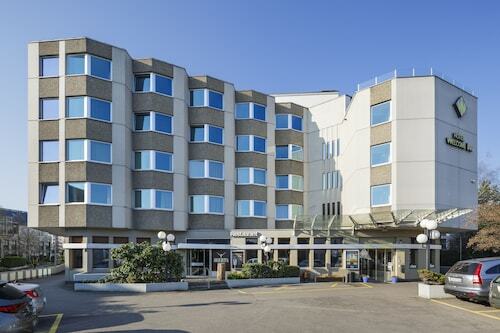 Located in Glattbrugg, this hotel is 1 mi (1.7 km) from Circus Salto Natale and 2.5 mi (4 km) from Hallenstadion. Kart-Bahn Zurich Ruemlang and Halle 622 are also within 3 mi (5 km). Unterriet Tram Stop is only a 2-minute walk and Kloten Balsberg S-Bahn is 6 minutes. 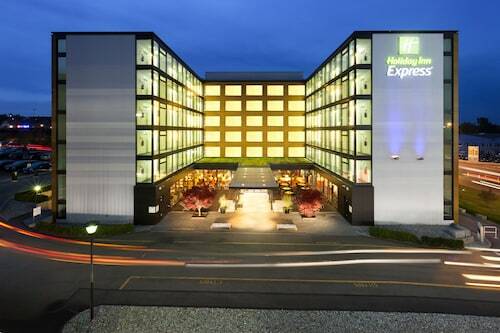 Located in Glattbrugg, this hotel is 1 mi (1.7 km) from Circus Salto Natale and 2.4 mi (3.8 km) from Hallenstadion. Zurich Exhibition Centre and Halle 622 are also within 3 mi (5 km). Unterriet Tram Stop is only a 3-minute walk and Kloten Balsberg S-Bahn is 6 minutes. 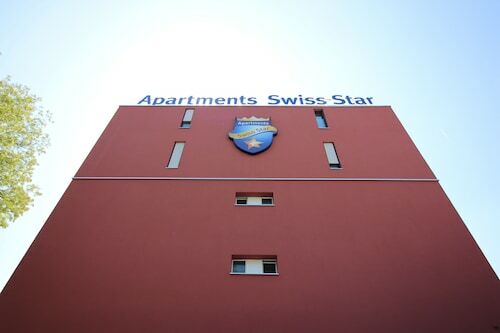 Situated near the airport, this apartment building is 0.4 mi (0.7 km) from Circus Salto Natale and within 6 mi (10 km) of Hallenstadion and University of Zurich. Zurich Exhibition Centre and Halle 622 are also within 6 mi (10 km). Zurich Airport Freight Tram Stop is 9 minutes by foot and Kloten Station is 8 minutes. 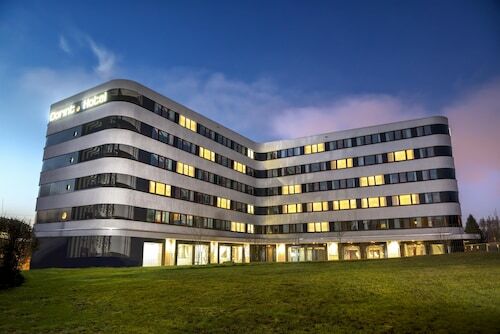 Located in the heart of Kloten, this hotel is 0.6 mi (0.9 km) from Circus Salto Natale and within 6 mi (10 km) of Hallenstadion and University of Zurich. Zurich Exhibition Centre and Halle 622 are also within 6 mi (10 km). Kloten Station is only a 3-minute walk and Zurich Airport Freight Tram Stop is 14 minutes. Situated near the airport, this hotel is 0.6 mi (0.9 km) from Kart-Bahn Zurich Ruemlang and 2.8 mi (4.6 km) from Circus Salto Natale. Hallenstadion and Halle 622 are also within 6 mi (10 km). 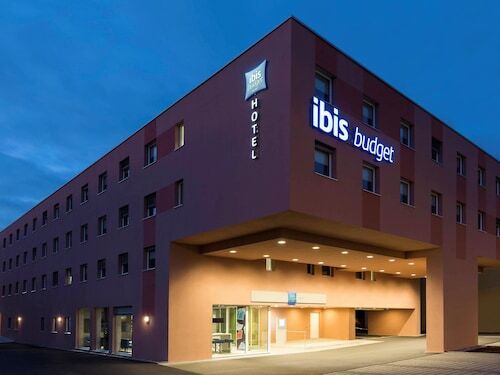 This hotel is in Glattbrugg, 1.7 kilometers from Zurich Airport and two kilometers from Hagenholz. The University of Zurich is 7.9 kilometers away. Answer : The cheapest day to fly from Calgary to Zurich is on Tuesday. If you want to save some money on your next trip look for flights on Tuesday. Question : What is the cheapest date to fly to Zurich? Answer : As of Apr 15th, the best day for deals to Zurich (ZRH) is Apr 28th. A ticket will put you out $1,165, which is 21% less than the average price to book the same route. Answer : Yes, you can change your departure or arrival date. If you wish to save a little money in doing so, the cheapest day to fly in April is Tuesday. You might think you're missing out taking off a day early, but we think that you are just adding those savings towards your next getaway. A dollar saved is a holiday earned. Question : How much is a plane ticket to Zurich (ZRH) from Calgary (YYC)? Answer : Cost can range anywhere from $1,070 to $8,425, prices for YYC to ZRH do fluctuate much more than most routes from Canada. The further out you book your ticket, the more likely you are to save. Question : What is the cheapest airline flying from Calgary to Zurich? Answer : Air Canada strives to keep costs low for their passengers over the next three months. Fares are being booked at just $1,070 and, when compared to the high-end bookings of $8,425, it's quite a deal. Question : How much time do people spend in Zurich? Answer : The average time spent sightseeing in Zurich by passengers from Calgary is 10 days. However long you decide to stay, give yourself plenty of time to see what makes Zurich fantastic. Question : Which airline has the least delays from Calgary to Zurich? Answer : Edelweiss Air will have you to ZRH on schedule 70% of the time. Stick to Edelweiss Air and you won't spend more time in airports than you have to. Note that if they do have a delay, it usually lasts about 14 minutes.